Could toxic fire retardant chemicals that are in practically all mattresses and bedding products, actually be the cause of Sudden Infant Death Syndrome? Strong scientific evidence by the late Dr Jim Sprott, shows that it is. Dr Sprott passed away aged 89 in May 2014. He was an incredible scientist, who until his death, dedicated his life to educating parents on how they could prevent SIDS by Mattress Wrapping To Prevent SIDS. SIDS – Sudden Infant Death Syndrome, also known as Cot Death, is something all new parents are terrified about and rightly so. The majority of new parents all follow the basic SIDS prevention safety standards, such as making sure baby is lying face up and at the end of the bed. Parents know not to stick toys, cot bumpers and pillows in their baby’s cot or bassinet. While the above safety measures have indeed helped to lower the SIDS rate, it has not eradicated it completely, babies are still tragically dying from SIDS. 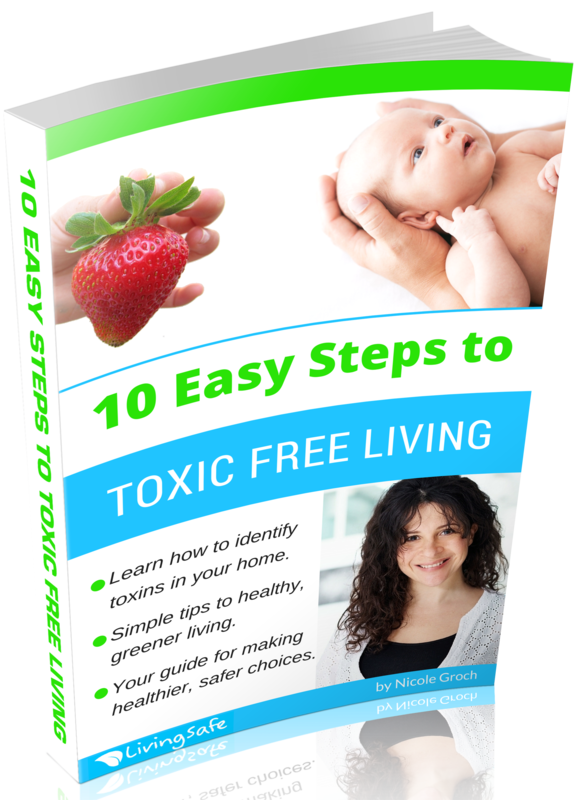 So after the birth of my first child, when I was researching into organic cotton cot mattresses, I came across Dr. Sprotts website cotlife2000.co.nz, and his Toxic Gas Theory, I was incredibly intrigued and delved into it further and what I read made perfect sense. Dr Sprotts mattress wrapping protocol was such a simple and affordable preventative measure to SIDS, that I personally could not understand why any new parent would not want to embrace it? The Mattress Wrapping Campaign was founded in New Zealand by Dr TJ Sprott OBE MSc PhD FNZIC Consulting Chemist and Forensic Scientist. It is a non-profit organization and Dr Sprott, was a wonderful man, who was always available to help and answer any questions I had regarding mattress wrapping. Dr Sprotts Mattress Wrapping to prevent SIDS protocol, if followed properly, has had a 100% success rate. There has been over 200,000 babies who have slept on a wrapped mattress and not one of them has succumbed to SIDS! Read more here. Interestingly enough, in the last few years there has been a lot information surfacing about how the toxic chemicals in fire retardants in mattresses are causing us harm. I myself have written about this topic here on livingsafe.com.au. Dr Sprott was adamant that SIDS is completely avoidable if all parents sleep their babies safely, by following his mattress wrapping technique and using the correct bedding and clothing to dress their babies in for sleep. Dr Sprott said that babies must be able to regulate their body temperature and not overheat, so sleeping bags and grow suits that completely encase a baby’s toes and hands are not allowed. Nor should a baby ever sleep with his head covered by a bonnet or hat. A baby should never be overdressed for sleep, as so many parents with the best protective intentions, mistakenly do. See more details for Mattress Wrapping and the correct bedding and clothing to use here. 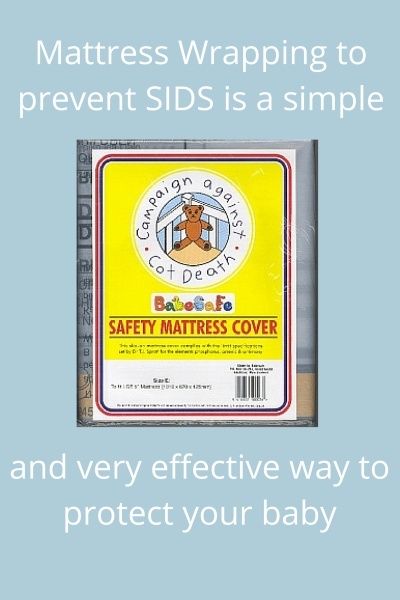 According to Dr Sprott you can eradicate the SIDS danger by wrapping your baby’s mattress in an approved BabeSafe Safety Mattress Cover. This cover is specifically designed to stop any of the toxic gases from the chemicals and fungus in the mattress reaching and being inhaled by your baby. *Note that the Cot Life 2000 mattress-wrapping protocol also has strict specifications for how to correctly make up your baby’s bed with sheets and blankets once it has been wrapped in a BabeSafe cover. Full information on these matters is set out on the Cot Life 2000 website cotlife2000.co.nz on the page. The BabeSafe Mattress Cover is a safe, inert polyethylene sleeve that the cot or bassinet mattress inserts into. This type of plastic is not capable of “out-gassing”. BabeSafe Covers do no contain dangerous phthalates or BPA and they are very affordable, costing less than $40. They also double as a safer and very effective, waterproof alternative to the standard, toxic PVC plastic, cot protectors. I would also strongly recommend using certified organic cotton sheets and blankets as opposed to conventional cotton and wool bedding, which has been grown using pesticides and fungicides and then also treated with flame retardants. You can order various sizes in BabeSafe covers to suit both bassinets and cot mattresses. You can find our where you can order a BabeSafe Mattress Cover here. Do Organic Cot Mattresses Need To Be Wrapped? Personally I still believe CERTIFIED 100% pure organic cotton mattresses and bedding are excellent for our health and the environment and highly recommend them as an option for both bassinets, cots and all beds, both for children and adults. I questioned Dr Sprott about whether we needed to wrap a certified organic cotton cot mattress and he replies that yes, he would strongly recommend that you wrap the mattress even being organic, during the crucial SIDS period of birth to 13 months, (or 14-18 months if baby was premature or sick). Dr Sprott told me that bringing in different factors; e.g organic cotton mattresses, is not something he has tested for and therefore he cannot put his name behind a recommendation of safety to use them. This I had to agree, was a completely fair answer. I also interviewed Peter the Owner of Organature Certified Organic Bedding to ask whether his certified organic cotton products where free of all chemicals including arsenic? Peter ensured me that they are all thoroughly tested to certify that they are free of all harmful substances, therefore he feels that there no is a need to wrap his organic cot mattresses, as they do not off-gas. So armed with the above knowledge, I think by far the safest choice would be to ABSOLUTELY wrap your baby’s cot mattress. If you do choose to buy a CERTIFIED 100% organic cotton cot mattress, be sure to ask the manufacturer to show you documentation that his cotton is certified organic and has been tested for ALL harmful substances. It is then up to you to decide whether you still want to follow Dr. Sprott’s protocol and his recommendation to wrap even certified organic cot mattress until the SIDS danger period has passed. As most people do not buy certified organic mattresses, then I truly believe all parents should take the precautionary measures and wrap their baby’s mattress.